Blue Slushie Tropical will remind you of your favorite convenience store Blue Raspberry slushie drink with delectable Strawberry notes. This delicious mixed berry e juice will tantalize your taste buds and is destined to become your new all day vape! 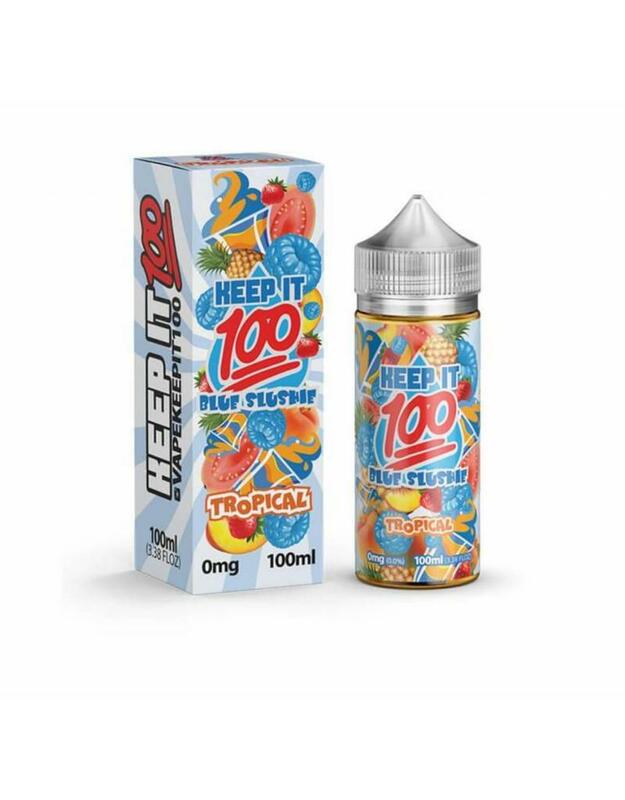 You really cannot go wrong with any e juice by Keep it 100. They are among our top selling e liquids in the vape market. Try this enticing new Blue Raspberry and Strawberry vape juice today!